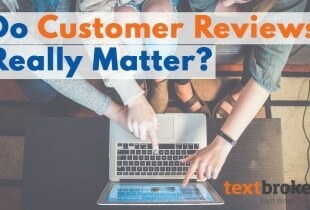 We know the rating system can be a point of frustration, but Textbroker’s strict quality guidelines are in place to keep our clients happy and returning for more content. Additionally, our star ratings make it easy for clients to connect with authors based on their needs and budget. The rating system is in place to help you succeed, and today, we’d like to share a few tips on navigating the Textbroker rating system. Filler is described as any content that does not contribute new, relevant information to an order. Repeating the same information multiple times or writing sentences that are grammatically correct but contain no new information is likely to get your article marked as filler. The biggest difference between 3- and 4-star work is filler; filler is not tolerated at the 4-star level. Clients paying for higher quality levels often want their content to rank well on Google or other search engines, and filler makes this nearly impossible. Filler also makes your work less interesting to read and often generic or similar to other works. While our rating team is looking for correct usage of all punctuation and correct capitalization of proper nouns, there are a few key things to keep in mind that, if done incorrectly, can very quickly lower your rating. These are the kinds of mistakes that make writing look unprofessional and unappealing to clients. Make sure to capitalize the first word of a sentence. It sounds obvious, but when writing quickly, it can be easy for your finger to miss the shift key. This is true of proper nouns as well. Always capitalize the word “I”. Punctuate each sentence with a period or the appropriate end punctuation. Again, it sounds obvious, but when writing in a hurry, this is the kind of typo that can be detrimental to your rating. While abbreviating words in casual communication is easy and fun, abbreviating “through” to “thru” or “you” to the letter “u” in professional writing is a quick way to have your rating reduced. Remember to follow key comma rules: commas should always come after FANBOYS conjunctions linking independent clauses, after introductory elements and surrounding nonessential information. One of the best ways to become a valued member of a team or to build a DirectOrder relationship with a client is to follow instructions meticulously. A client’s instructions are a blueprint for their ideal product and the best way to make a client happy. Following instructions is a good way to help protect yourself against demotion because Textbroker checks all orders against the original instructions. If you find a client’s instructions confusing, most of the time, they will be happy to clarify what they mean. Just send them a message! Our quality assurance staff is dedicated to ensuring quality content for our clients and helping our authors to grow and improve. When your writing improves, we all benefit. Your rating can be reduced for a single problematic order, so the best way to maintain and improve your rating is to avoid making the same mistake twice. With every rating, our QA editors provide detailed feedback that not only explains what to do differently but why. Furthermore, the feedback you receive will increase in specificity the better your writing gets. Once you’ve solidified the basics, we’ll work with you to improve the details until you’re writing near-flawless orders with ease. We see it all the time. Solid writers with great potential lose their star ratings all the time for simple but repeated errors. Proofreading is absolutely key to submitting the kind of quality work that will get you promoted. While many small errors are easy to catch by using a proofreading program like Microsoft Word or LanguageTool, a lot of errors still require the human touch to be caught. 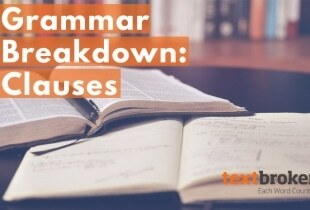 Homophone errors, many usage errors, and certain typos and punctuation issues still elude computers, but with a few short minutes of proofreading, they can be found and eliminated. Taking the extra time to breathe, change your perspective, and give your orders a thorough once-over before submitting can save you a lot of time and hassle later on. There is no appeals process for ratings. That’s why it’s important to make sure every order you submit is a good representation of your skills. We can’t allow a client to pay for poor quality content just because an author is having a bad day. A lost client means lost business for us and lost work for other authors. The way to improve your rating is by writing. Articles are thoroughly reviewed during the rating process: By the time the rating is finalized, we have already seen your work and agreed on the result. But improving your rating is not impossible! 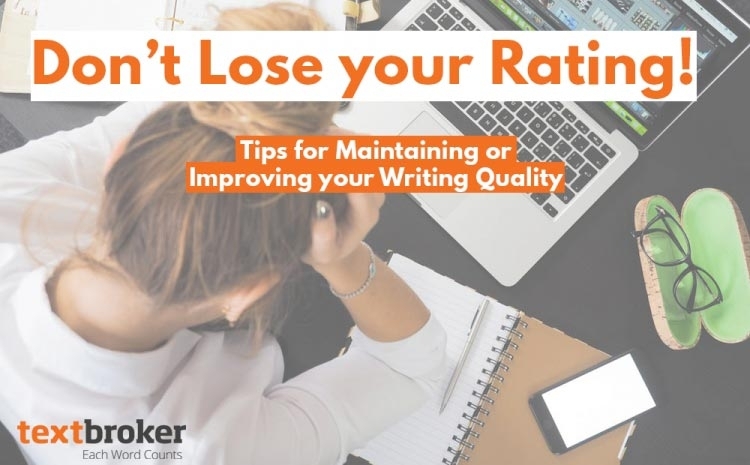 The more you write, the more likely you are to get rated again, and the more closely you follow these guidelines, the happier you’ll be with the rating’s outcome. As your rating improves, the feedback you receive will be tailored to your higher quality. We may point out tips for improving tone and style, but our goal stays the same. We want to help you be the best writer you can be! Have more questions about our rating standards or being a Textbroker author? Drop us a line at authors@textbroker.com or check out the author FAQ! Knowing the five rules you give us to follow when writing, my question then is where do I start after being accepted on TextBroker? Hello and thanks for reading! If you need assistance getting started please visit our author FAQ page (https://www.textbroker.com/faq/author) or contact our author services team by email at authors@textbroker.com. Thanks! Very helpful article! I have enjoyed the process and fun of being an author with TB. I have learned quite a bit about myself via writing here. If you stay focused, you can even write a few articles a day. I look forward to my rating going up higher and higher soon! Alright, so I’ve read through these recommendations for improvement. I have just started textbroker and just completed my first project. It was a bigger one, 4,000 word requirement, and had many details in what exactly the client wanted. However, under the key words, the client listed several strings of words that just did not fit with grammatical correctness at all. I did my best to fit them in and tried to make it as unnoticeable as possible, but the grammar is still definitely very off. I felt that was my only choice because I read that you cannot submit an article until every key word is addressed the set amount of times. It was very stressful and I know I might be rejected by the client because of the grammatical errors. But what could I change about that? I suppose I’m just asking for future reference; what do I do if the client has something listed under "key words" that just won’t fit into the article comfortably? Thank you for your message. Always be sure to use the keywords as listed. 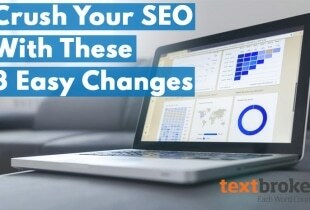 Sometimes, clients opt not to use the connecting keywords feature and sometimes clients misspell keywords whether accidentally or intentionally for SEO purposes. Please do not worry about being penalized. When reviewing orders for rating, instructions and keywords are considered and you are not penalized for using the keywords as listed. I hope this helps. Please do not hesitate to ask if you have any other questions. Thank you for using Textbroker! For any other questions, feel free to reach out to us directly at authors@textbroker.com. I’m wondering what to do because my feedback on articles is not matching what the paid version of Grammarly is telling me. This is particularly worrisome when it comes to comma usage. Hi! Thanks for your comment. Due to the case by case basis of feedback, we suggest that you email author services directly at authors@textbroker.com for a detailed response. Hi, Cody, thanks for responding. I put one of the articles into another assignment’s text box to see how Grammarly compared. It said everything was okay. So I added, willy-nilly, a bunch of extra commas. Just everywhere, except inside words and after spaces. Grammarly still said that the article was just fine, which I know is not correct. Any suggestions? I want to keep Grammarly just for the word suggestions and a few other things, plus it tells me when I do need a comma. But it’s not picking up extra commas at all. Ugh. I just had this very thing happen to me. I was a 4-star writer and started using Grammarly and now I’ve been bumped down to a 3-star. Very frustrated. Granted, I questioned some of Grammarly’s suggestions but implemented their suggested punctuation. I was rated a 4-Star writer but haven’t written any articles yet because I wanted to make sure– will writing OpenOrder articles lower than my rating hurt my rating? And am I correct in assuming that I would get paid the corresponding rate according to the star level of the assignment? I am a level 4 writer, and I passed the proofreading test a long time ago. How do I become eligible for promotion to a level 5? It is discouraging to pass the test and hear nothing further. Hello! For questions about your rating you’ll need to email our author services department directly at authors@textbroker.com. Thanks!